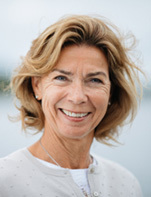 Kristin H. Holth is Global Head of Ocean Industries in DNB - Norway's largest financial services group and a global leading financial institution within the Ocean Industries. Ocean Industries includes DNB's activity within Seafood, Shipping and Oil related industries. Kristin H. Holth has held numerous management positions within DNB over the years. The latest before current being Global Head of Shipping, Offshore & Logistics for 4 years and General Manager & Head of DNB Americas for 6 years. Holth is member of the International Advisory Board at BI, Norwegian Business School, and member of Ocean Industry Forum Board, Oslo.